In many IVF Centres, an adequate (or even any) andrological assessment of the male in infertile couples is seldom made—the assumption being that only the gametes, and not the person producing them (despite of any disease he might have), count for fertilisation. Hence, in spite of having a cryptozoospermic partner, many women referred to ICSI expect the normal success rate, whilst others are referred to heterologous insemination because their partner is azoospermic, with low testicular volume and high FSH level. Actually, many Andrologists often have little experience in dealing with male infertility and are therefore unable to provide useful input to the gynaecologists and embryologists dealing with the infertile couple. 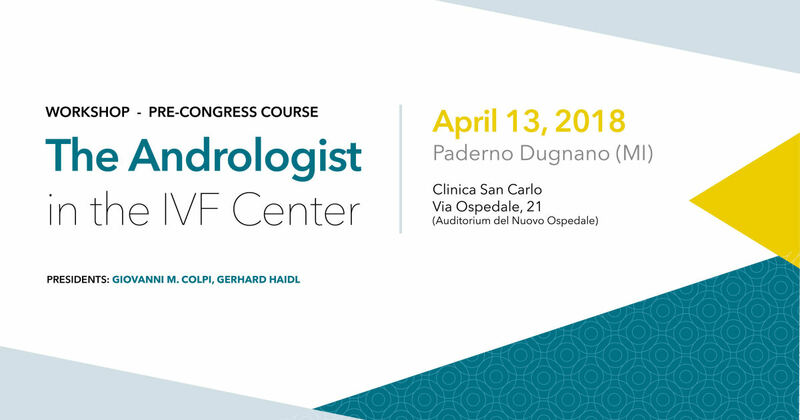 This Workshop, thanks to a series of lectures by several renowned international andrologists expert in infertility, provides urologists and endocrinologists interested in improving their practice in IVF Centres with an update on how to deal with various cases of male infertility, with their underlying conditions, according to the criteria of the evidence-based medicine and the good clinical practice. sul sito www.overgroup.eu, programma eventi 2018. La partecipazione al congresso è gratuita e riservata ai primi 100 iscritti.